Much like the old aerial tramway towers running next to the Town Lift, the Main Street post office, and the Miner’s Day Parade, the 10 o’clock whistle is a much-beloved part of the life and landscape in Park City. It’s housed in the Park City Museum (528 Main St, 435.649.7457, parkcityhistory.org), and a visit there reveals its historic role: as an alarm for town emergencies, a curfew warning to the town’s children, and a grateful sign that all miners were safe and accounted for. These days, the whistle (which sounds more like a siren blast than a whistle blow) continues to sound every day for mostly nostalgic reasons. But for me, the 10 o’clock whistle tells the story of the stages and steps of my life in Park City. When I moved here soon after college, the whistle meant bar-time, when my newfound friends and I would gather and walk Main Street under the cover of snow and streetlights to the Cozy or Black Pearl. As the years passed and I settled into home ownership and family, rather than a harbinger of the evening’s beginning, hearing the whistle meant date night was over and it was time to go home to our (hopefully) sleeping children. Now, the whistle serves as a grateful reminder—following frenetic days of work and kid shuttling—that the day is done. 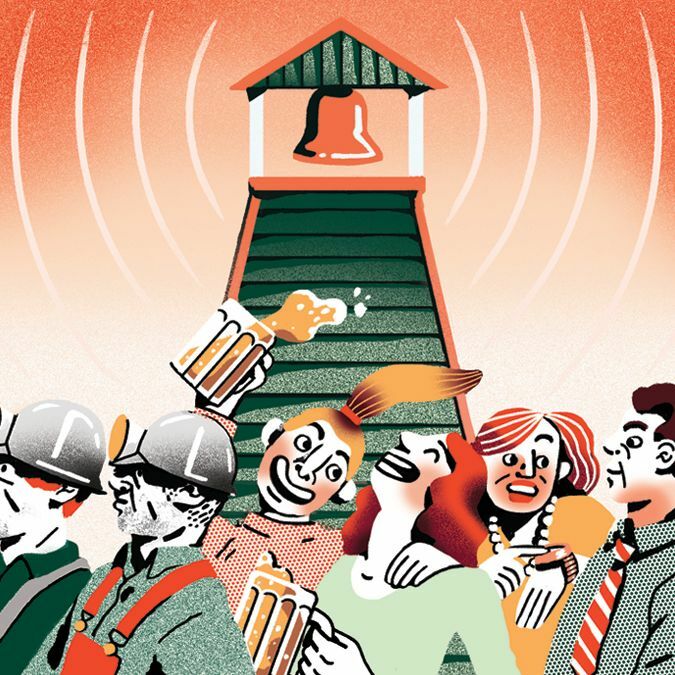 Recently, when we asked our 24-year-old daughter if she knew why Park City had a 10 o’clock whistle, she gave us a curious smile and then replied, “I am not sure, but for me, it means bar-time.” The baton is passed.